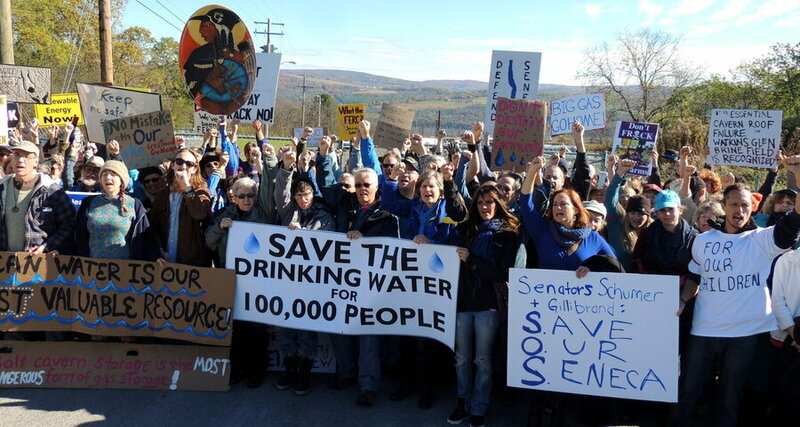 Residents are stepping up the fight against a plan to store millions of barrels of Liquefied Petroleum Gas (LPG) in unlined abandoned salt caverns beneath the shores of Seneca Lake near Watkins Glen in the heart of Finger Lakes Wine Country. Nearly 500 local business owners, including leaders of the region’s winery and tourism industries, sent a letter to Governor Cuomo condemning Crestwood’s proposed industrial gas storage and calling on the governor to work with the New York State Department of Environmental Conservation (DEC) Commissioner, Basil Seggos, to prevent it from moving forward. At the same time, Gas Free Seneca along with The Seneca Lake Communities and Seneca Lake Pure Waters Association filed a formal response with the DEC’s Chief Administrative Law Judge (ALJ), presenting new information about alternative sites and arguing that Texas-based oil conglomerate Crestwood’s proposed project is completely unnecessary for New York. In a letter sent Tuesday to Governor Cuomo, local business leaders slammed the proposed LPG storage facility as ill-conceived and widely unpopular among residents. Crestwood’s new expansion of LPG storage capacity at other locations in the state makes additional propane storage in New York unneeded. The letter comes on the heels of a motion filed by Gas Free Seneca urging DEC Chief ALJ James T. McClymonds to recommend denial of Crestwood’s application based on alternative sites being developed or expanded by Crestwood’s parent company in the state outside of the Finger Lakes region that would provide more than enough propane for residents of New York and surrounding states. None of the propane stored in the Seneca Lake facility would be used to heat New York homes or businesses. All of it would be shipped out of state via a pipeline to serve New England and the mid-Atlantic states. The unlined salt caverns along Seneca Lake were never engineered for storage, yet Crestwood has proposed storing up to 40 million barrels of explosive propane in a manner that has caused injuries and deaths, large fires, evacuations and major property loss in other locations. By Crestwood’s own admission, the proposal will create three to five permanent jobs for the area. Tourism in the Finger Lakes supports more than 59,000 jobs for the region. Governor Cuomo’s 2018 budget includes $16.5 million to further expand and enhance tourism and economic development in Watkins Glen, the village closest to the project. Crestwood LP has been fined twice by the United States Environmental Protection Agency in six years for violations of accident-prevention rules at its Bath/Savona LPG facility. 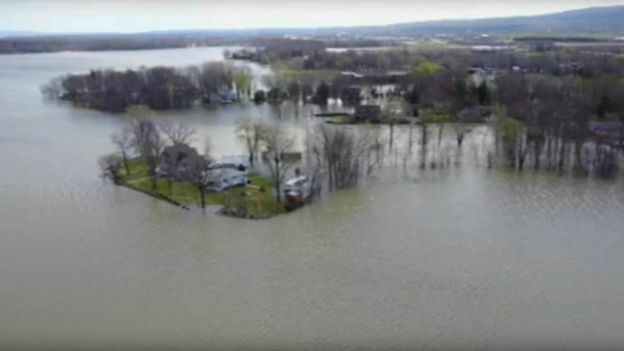 They have nearly a decade of toxic spills in or along Seneca Lake and the New York State DEC has fined them a total of $57,500.00. Those toxic spills include chloride, brine and diesel fuel. In the past year, 21 wineries and countless other businesses and residences have gone solar in an effort to achieve Governor Cuomo’s REV plan to reduce greenhouse gas emissions by 80% by 2050. 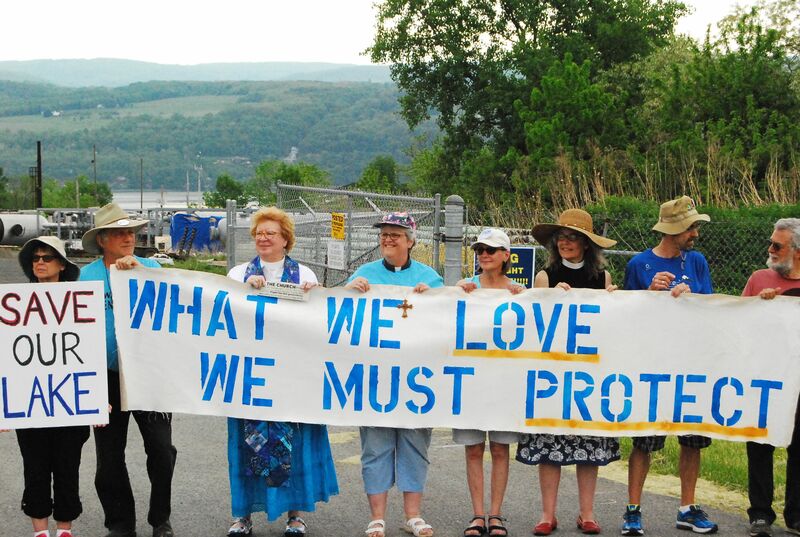 Crestwood’s Seneca Lake industrial LPG storage plan is opposed by more than 450 Seneca Lake property owners, 500 local businesses, and 32 municipalities representing 1.2 million New Yorkers.